There’s more to building muscle than putting in gym time and packing extra pounds on the bar. Food also has an important role to play and the best foods for building muscle usually provide more than just protein. Protein is important. That’s a fact that cannot be denied. However, fats and carbs are necessary as well. They are valuable sources of energy. You need them because you won’t be able to train hard if you keep running out of steam. When it comes to fats and carbs though, moderation is the key, so don’t go crazy. 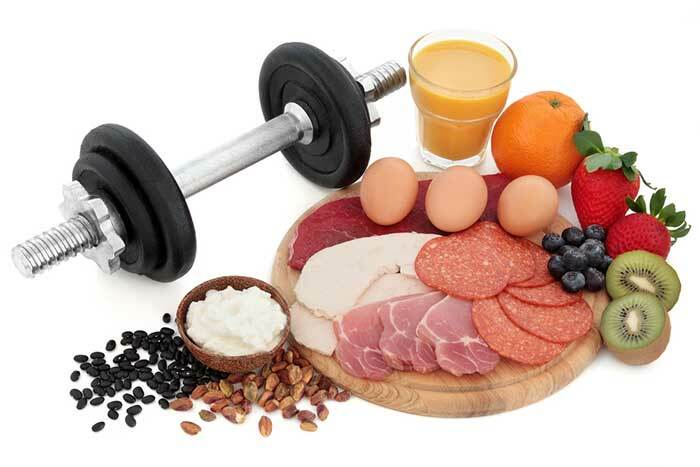 Vitamins and minerals also have an important role to play in muscle growth. They can help you train harder and heal faster too. Foods that are high in nitrogen are also good- They support muscle growth because they encourage vasodilation. This improves the circulation, helping the blood to feed the muscles with extra oxygen and nutrients. Vasodilation also helps the blood carry away more of the lactic acid that builds up in the muscles during training. The upshot of this is you will be able to train harder and longer. Your muscles will also heal at an accelerated rate. There are lots of ways food can help support you in your quest to be the best that you can be. 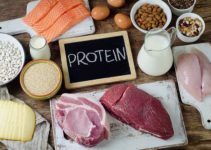 So, although high protein foods are good for building muscle, it’s best to make sure you get plenty of other nutrients as well. Eggs are a good source of high-quality protein. They also contain other important nutrients, including B vitamins and choline. B Vitamins are water-soluble. Your body cannot store them so it has to get a regular supply from food. B Vitamins are good to have because they give you energy by helping your body extract it from food. Choline is actually Vitamin B4, but it deserves special mention because it’s a precursor to the neurotransmitter Acetylcholine. Research suggests acetylcholine precursors like choline or alpha-glycerylphosphorylcholine (A-GPC) boost human growth hormone (HGH) secretion. Among other things, HGH helps you heal. Milk contains a good mix of fast and slow-digesting proteins, carbohydrates and fats. Apart from being a good source of calcium, milk also provides improvements in strength and body composition. The chances are you know that already. However, research shows milk works particularly well when its consumed after resistance training. Not only is milk one of the best foods for building muscle, it’s also one of the easiest to use. You don’t need to cook it, mix it, or prepare it in any way. Just pour some in a glass and you’re good to go. Beetroot is also a food that is good for making muscles grow. The combination of nitrates and phenolic acids it provides allow it to be a nutritional powerhouse that’s pretty hard to “beet”. It’s abilities as a vasodilator were discovered long ago. More recently, beetroot got a lot of good press when scientists showed how good it is for improving post-workout recovery times. As with milk, there’s no need for a lot of fuss. Most supermarkets sell cooked beetroot. Pickled beetroot does the job too and, if you want to get it into your body super fast, a glass of beetroot juice is a good way to go. Beef is an excellent source of protein. It also contains B vitamins and creatine, so it’s not surprising steak has such a longstanding reputation as one of the best foods for building muscle. However, steak is not the only option. All beef is good, but it’s best to go for the leaner cuts. A gram of fat contains nine calories, so the leaner the better. For example, a three-ounce serving of 95% lean ground beef contains 5.6 grams of fat. That’s not too bad and you’ll also be getting 22.3 grams of protein. However, if you eat the same size serving of 70% ground beef, you’ll get 15.5 grams of fat and 21.6 grams of protein. That’s only a little less protein but a lot more fat. If you are looking for good muscle-building foods, best not forget tuna. It’s low in fat, high in protein and has several B Vitamins as well, including Vitamins B6 and B12. You’ll find both listed on the ingredients of a tin a Red Bull. Presumably, there is no need to explain why. A three-ounce serving of tuna usually provides around 20-26 grams of protein, depending on the option you choose. Additionally, tuna is also a good source of Omega-3 fatty acids. Omega-3 fatty acids (n-3 PUFAs) are known to be heart-friendly and benefit the health in numerous ways. Some research shows they may also offer protection against loss of muscle mass and strength due to the aging process. When it comes to muscle-building foods, Turkey is one of the best. If you serve up a three-ounce helping you’ll be getting 25 grams of protein and almost zero fat or carbs. One of the other good things about Turkey is it provides niacin (Vitamin B3). Niacin helps the body process fats and carbs and is good for keeping cholesterol levels in check. It offers a lot of other benefits as well and some athletes take niacin supplements to trigger the release of HGH. Cottage cheese is a good source of protein and it contains a fraction of the fat provided by other cheese types. It’s also a good source of leucine. 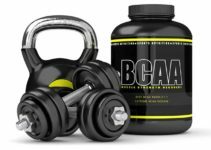 Leucine is a branched chain amino acid that plays an important role in protein synthesis and inhibits protein degradation. Research shows one of the things leucine does is let the body know other amino acids are available. Cottage cheese is not the only food that contains it, but it’s still nice that it’s there. If you are a vegetarian bodybuilder, Tofu may already be a regular part of your diet. If not, don’t dismiss this protein-providing bean curd out of hand. Apart from providing protein, tofu is also an excellent source of amino acids, calcium, and iron. Iron is especially important for bodybuilders because a lack of iron causes fatigue and slows the healing process. If your muscles often feel sore, you may not be getting enough iron. Vegans and vegetarians are more prone to become iron deficient than meat eaters. So Tofu is one of the best choices vegetarians have got when looking for muscle-building foods. Although this article provides a list of some of the best foods for building muscle, it does not contain them all. Compiling a list of all the best muscle-building foods would be an impossible task. Many foods can help you build muscle. The important thing is to eat a balanced diet that provides your body with all the protein and other nutrients it needs. Don’t be afraid to eat fat, but don’t eat too much. Read the back of the labels and check the nutritional information. Eating smart is as important as training smart. You are what you eat. What are the best muscle building foods and how do they encourage muscle growth. Protein, nitrogen and Vasodilation explained.